Trade helps grow Nebraska. From commodities like corn and soybeans to beef and pork, Nebraska reaps the benefits of international trade to the tune of about $10 billion. We didn’t achieve this level of success overnight—it has been the product of a lot of hard work in building trade relationships with countries around the world. With low commodity prices right now, it is particularly important we work to expand trade opportunities and open up new markets across the globe. Last week, the Nebraska Department of Agriculture (NDA) and I announced that Nebraska would be signing letters of intent with Taiwan to expand our trade relationship with the country. Taiwan has historically been a very important trade partner with our state. During a visit to the country this month, the Nebraska Ag Director signed letters of intent on behalf of the state with Taiwan to purchase more than $405 million in Nebraska corn, soybeans, wheat, beef, pork, and distiller’s grains. The letters outline Taiwan’s intent to purchase over $100 million each of wheat, corn, and soybeans as well as a total of about $20 million of pork and beef products. These letters of intent build on our successful trade missions last year. Our efforts to build relationships during international trade missions have led to several successful investments from companies including Morio Denki, Geist, and Worldlawn. In addition to these successes, Kawasaki announced in January that it would establish its first U.S. aerostructures production line in Lincoln. Kawasaki leadership said last fall’s trade mission to Japan played a part in their decision-making to expand Kawasaki’s presence in Nebraska. This expansion is great news for Nebraska, and builds on Kawasaki’s current production lines that produce railcars and all-terrain vehicles and employ 2,000 people in Lincoln. Another tool that could help Nebraska expand overseas trade relationships is the Trans-Pacific Partnership (TPP), which is currently under consideration in Congress. TPP would bring down tariffs and help expand markets for Nebraska’s commodities along the Pacific rim. Earlier this year, I partnered with the Nebraska Farm Bureau to unveil an analysis of TPP’s economic impact on Nebraska. The analysis released by the Farm Bureau showed that TPP had the potential to add $378 million in cash receipts for Nebraska in ag products alone. Trade agreements like the letters of intent Nebraska is signing or TPP, which the federal government is negotiating, require a great deal of relationship building over time. To this end, I will be leading a trade mission to China later this fall. China is Nebraska’s fourth largest trading partner after Mexico, Canada, and Japan, and it’s a country with a growing economy and middle class, who have an increasing demand for quality food products. During this trade mission, we will highlight Nebraska’s quality commodities and manufacturers. Nebraska businesses and ag producers who do business in China, or those that are hoping to enter this market, should contact the Department of Economic Development or NDA to express their interest in joining the trade mission. 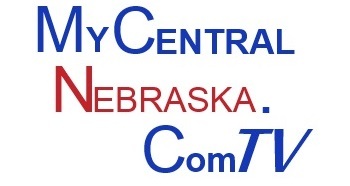 Departmental contacts include Cobus Block at 402-480-5806 or cobus.block@nebraska.gov or Stan Garbacz at 402-471-2341 or stan.garbacz@nebraska.gov. 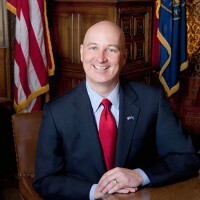 You can also download the form for yourself at http://opportunity.nebraska.gov/trademission. Space is limited, so contact the departments soon! Trade has been and continues to be a great way to grow Nebraska. As we continue to look for new ways to expand trade relationships, I will to share success stories with you. If you have questions about this topic or any other, I hope that you will contact my office by emailing pete.ricketts@nebaska.gov or by calling 402-471-2244. We look forward to hearing from you!